This open house style event is open to the community. 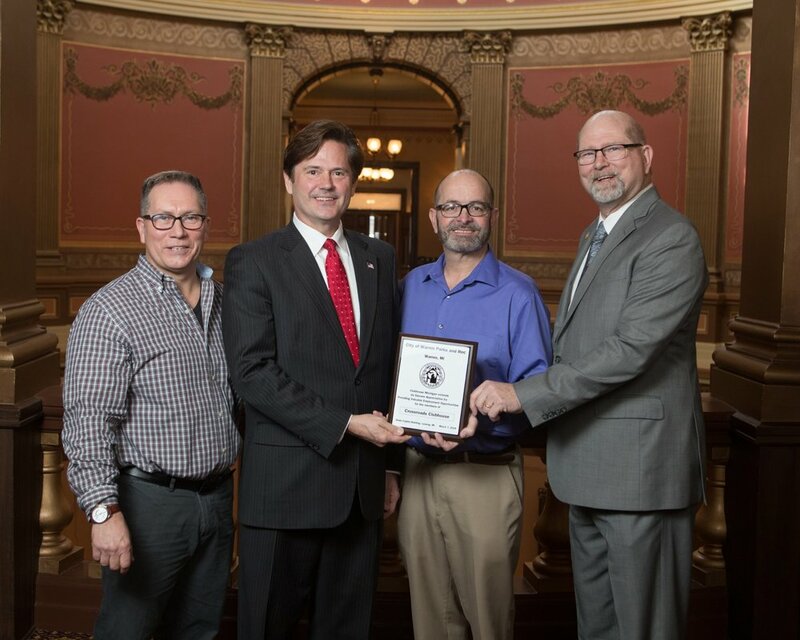 Crossroads Clubhouse, a program of Macomb County Community Mental Health, has received the 2018 Partners in Excellence Award from the Community Mental Health Association of Michigan (CMHAM). NAMI is looking for some support on this issue and wanted us to share this message from. 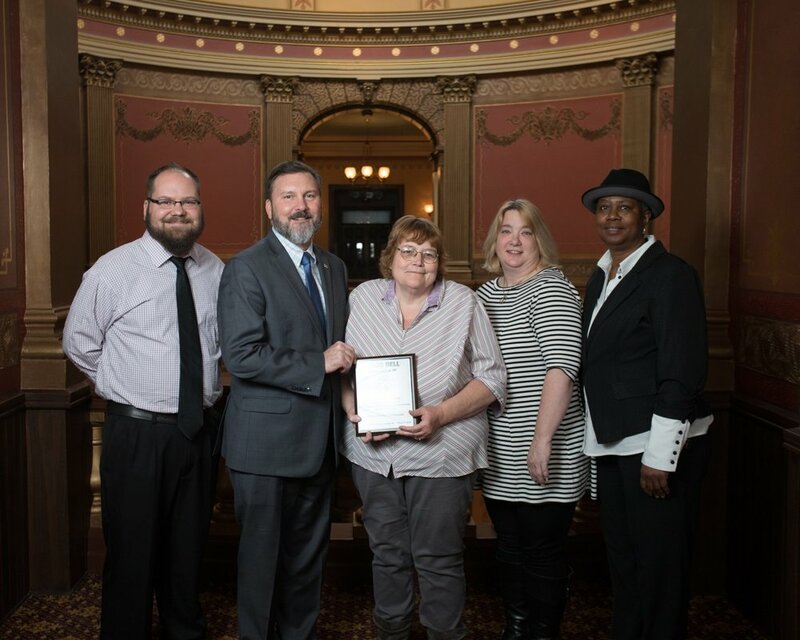 Eighteen companies were recognized at Michigan’s Capitol building on Wednesday, March 7, 2018 for choosing to diversify their workforce by employing adults who have mental illness with the support of Clubhouse employment and recovery centers across Michigan. Seventeen state legislators presented awards to the companies in recognition of their leadership in choosing to give people who have mental illness an opportunity to re-enter the workforce with support. This event is the Third Annual Statewide Employment Celebration, which recognizes these crucial partnerships between businesses and community mental health center programs known as Clubhouses. The awards were presented in front of a crowd that included over 120 people including Clubhouse members, employers, legislators, family members, and allies.